The summer solstice has a special meaning for my husband and me. It’s the day we chose to marry seven years ago.More than just a convenient way to remember our anniversary date, we love long summer days. But maybe not as much as the residents of Santa Barbara. Every year since 1974, this coastal community has celebrated the event with its Summer Solstice Parade. It actually began as a birthday celebration for a popular artist and mime named Michael Gonzales.Today, about 100,000 gather over the weekend to watch the spectacle unfold. Bubbles, steam-snorting dragons, Carnival-style dancers and psychedelic fish lined State Street and proceeded to mesmerize the crowds. The 1,000 parade participants delivered and excelled on this year’s “creatures” theme. How nice of Santa Barbara to make our anniversary extra memorable. The summer solstice has a special meaning for my husband and me. It’s the day we chose to marry seven years ago. More than just a convenient way to remember our anniversary date, we love long summer days. But maybe not as much as the residents of Santa Barbara. Every year since 1974, this coastal community has celebrated the event with its Summer Solstice Parade. It actually began as a birthday celebration for a popular artist and mime named Michael Gonzales. Today, about 100,000 gather over the weekend to watch the spectacle unfold. Bubbles, steam-snorting dragons, Carnival-style dancers and psychedelic fish lined State Street and proceeded to mesmerize the crowds. The 1,000 parade participants delivered and excelled on this year’s “creatures” theme. Wanting to experience a new part of New York City, we decided to sign up for a Harlem tour. In full disclosure, our stomachs led us here. 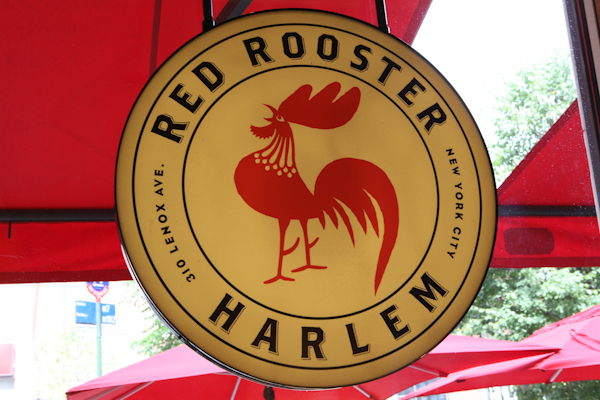 The idea for the trip started with the recommendation to eat at the Red Rooster, the hot new soul-food-with-a-twist creation of Chef Marcus Samuelsson. Was it the word “tour” or “library” that left my husband scratching his head as I explained my plan for our next grand adventure. We joined about 20 others on a one-hour jaunt through this transporting place. Tours are offered at 11 a.m. and 2 p.m. Mondays through Fridays and 2 p.m. on Sundays, except when it’s closed on Sundays in the summer. Front door of The New York Public Library. No need to knock. Knowledge is accessible to all. Our tour guide explains how the exterior walls of the original building had to remain intact as part of the library’s expansion. Below this stair is the foundation of New York City's former water reservoir. The legend of Walter “Scotty” Scott might not be fodder for conversation today, but it churned in the Death Valley rumor mill during the Roaring 20s. After all, Scotty is responsible for luring Albert Mussey Johnson and his wife Bessie to Death Valley in hopes of striking it even richer through their investment in his faux gold mine. While the “mining operation” may have been a bust, the resulting Spanish-Mediterranean spread in the middle of the desert was a godsend.